'To claim the right to the city in the sense I mean it here is to claim some kind of shaping power over the processes of urbanization, over the ways in which our cities are made and re-made and to do so in a fundamental and radical way.' (David Harvey, The Right to the City). 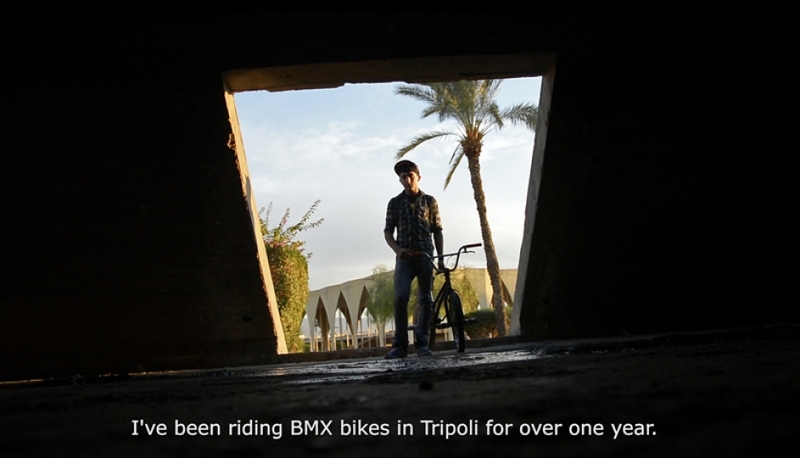 The film explores the unrealized potential for local residents of Tripoli that is inscribed in the unfinished space of the Rachid Karame International Fair in Tripoli, Lebanon, locally called Maarad- exhibition, which was designed by famous Brazilian architect Oscar Niemeyer in the 1960s. It occupies an area of 1 million m2. The complex was supposed to be ready for the 1975 International Fair. That year the civil war started and the space was not finished. Most locals have never ventured inside but some people are arbitrary let in by the guards: tourists, joggers, and dog walkers. There are trans-gressions and trespasses that happen. Removed metal bar in a fence creates the gap, the blind spot between the worlds. The film focuses on a group of teenage boys entering the space, and covers my meetings with them between October and November 2014. 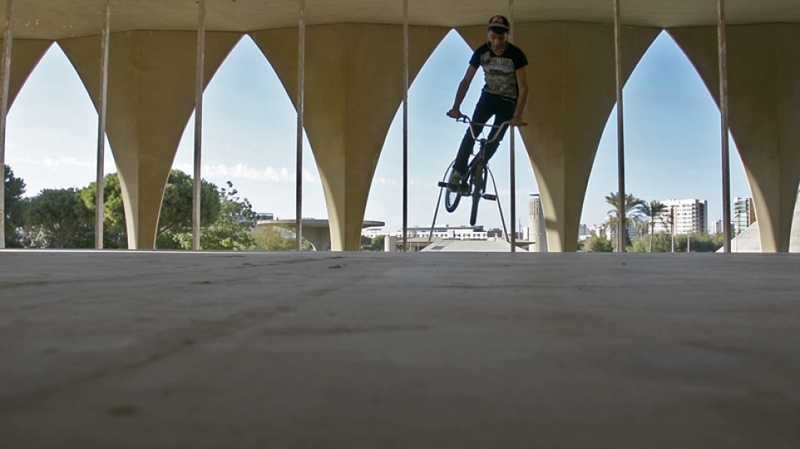 I was filming with the boys, who ventured inside every Sunday. They used to enter the space illegally (or better said: half-legally) through the opening in the surrounding fence or by jumping over the fence. 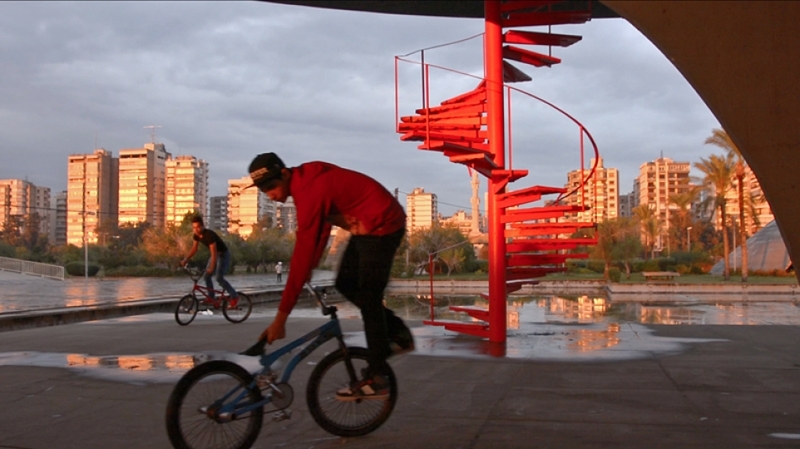 The boys would go to the Maarad to ride BMX bikes, practice gymnastics and learn tricks. The space became more than this for them: they spent time, hanged around, showed off and practices other rituals of every-day life inside the Maarad. It became an important part of their individual histories, hopes and dreams. How did they use the space? What did it mean to them? How were they transforming it? Did it become a place of refuge? Did their ventures inside revitalize the space in subversive way? Can they be seen as transgressions or forms of resistance, even if unconscious? 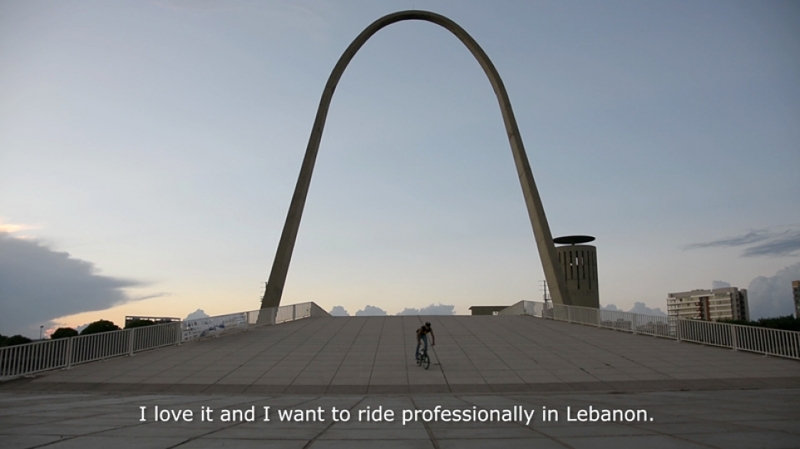 Why is the Maarad yet another example of Lebanese not-so-public space?